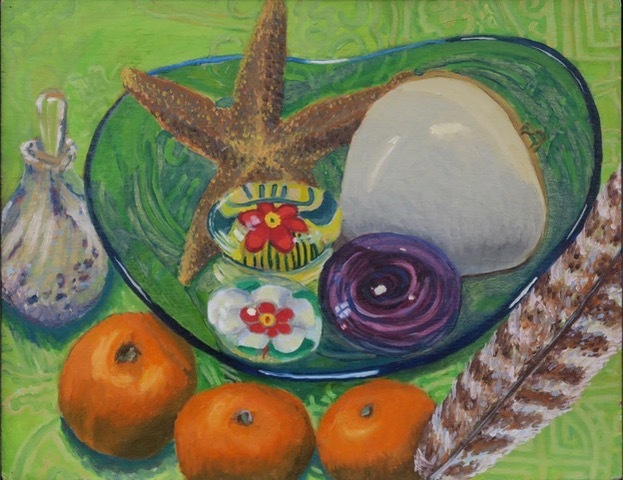 During the late fall and winter months, when it is too cold to paint outside, I make still life paintings of things I combine from around my house. I am particularly charmed by pears, apples, and other fruit as they have a sensual shape to them. These paintings are samples of the work done over the last few years. Copyright ©2007– Emily Rutgers Fuller. All Rights Reserved.